AAA Grade Value Disc CD-R offers 700 megabytes of write-once storage capacity recorded at up to 52x speed. This disc is perfect for storing data, video and music. When using the discs for music, you'll be able to store up to 80 minutes per disc. The high quality white printable surface offers full-surface printing for high-resolution photo quality images. It is compatible with leading brand drives and ink-jet printers. 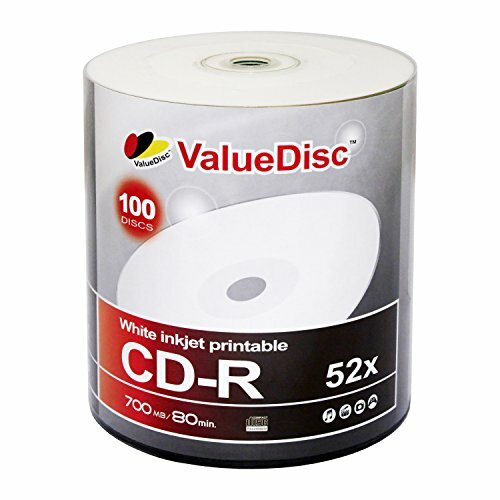 Value Disc, the inventor of the CD/DVD technology offers high-quality, highly reliable qualified media. Vibrant full color, high resolution, photo-quality printing. Absorbing ink and drying. Ideal for recording music and video or archiving data. If you have any questions about this product by Value Disc, contact us by completing and submitting the form below. If you are looking for a specif part number, please include it with your message.